Economic Coordination Committee (ECC) in its Thursday’s meeting decided to revise downward, the age limit of imported used cars to three years which market observers dubbed as a positive move for the local auto industry. The impact of the ECC decision was visible in the equity market where the benchmark 100-share index closed bullish gaining 18 points. The analysts attributed this positive trend, partially, to the ECC’s move on auto industry that attracted investors’ interest in the scrips from automobile sector. 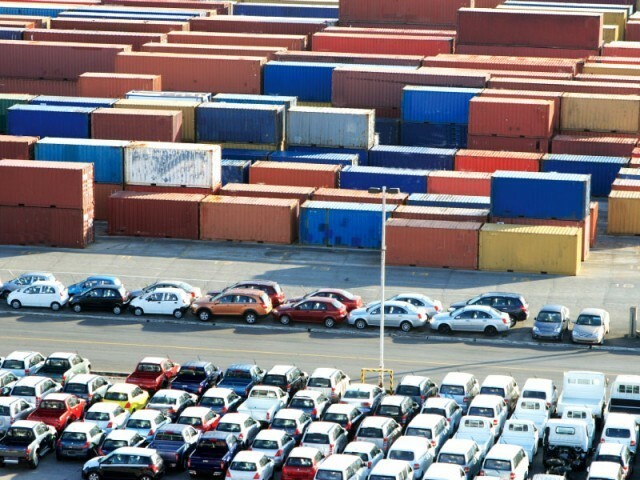 “ECC announcement on car imports restriction beyond three years-old invited interest in auto sector,” said Ashen Mehanti, a senior equity analyst and director at Arif Habib Securities. Previously, the importers were allowed to import cars of up to five years of age that, the analysts said, had adversely impacted the sales of local automobile companies. The buyers, finding the 5-year old cars cheaper, were prioritising importing used cars from abroad instead of going for new ones in the local market. According to researchers at Topline Research, benefiting from the age relaxation, the importers during fiscal year 2012 had imported around 56,000 units compared to 20,000 units in the fiscal year 2011. “The imports were highly skewed toward five years old cars for being cheaper of the alternatives,” said Zeeshan Afzal, a Topline analyst. The analyst said the availability of a cheap substitute and rising inventory levels in the market decreased the local auto industry’s sales by 31 percent to 40,000 units during first four months of FY13. The corresponding period last year had seen the sale of 59,000 units, Afzal recalled. This clearly indicates that the government has tried to appease the local auto assemblers at the expense of consumers who, after Thursday’s decision of ECC, would not be able to import cars that are older but much cheaper than what the local industry was offering them. However, apparently, applying a sales-centric approach the market observers opine that the development would augur well for the local auto industrialists. “The development bodes well for local automobile industry,” said the analysts. They, however, expect a lag reflection in terms of sales in the local market because of the availability of high inventory of used cars in the market. “The move would also allow them to pass on the cost pressures,” said Afzal. According to Abdul Azeem, a research analyst at InvestCap Research, the government’s restriction of the import of used cars of more than three-years of age was a positive sign for the local automobile sector. You are article with high sounding words and appreciation for the Government who is again seeking interests and favors of investors as they feed them MORE than common public. Government is not considering the interest of common man and also the revenue being generated by this import. If Government is so interested in survival of local cars industry then please also invite other car manufactures in the country like our counter part India is having and producing better quality and low price cars. Your article with high sounding words and appreciation for the Government who is again seeking interests and favors of investors as they feed them MORE than common public. Government is not considering the interest of common man and also the revenue being generated by this import. If Government is so interested in survival of local cars industry then please also invite other car manufactures in the country like our counter part India is having and producing better quality and low price cars. all local car manufacturers in pakistan should be killed. Thanks a lot for giving hints about shopping for a used car. I'm about to buy a used car and will definitely consider such suggestions before making any deal. Keep upcoming more tips. Go for a use car is good because it save our money in a high amount and reduced financial tension. Service of the used car is a beneficial symptom for us. Now we can got used car through online add, newspaper, reference etc. But we should take some precaution before going to buy or sell of a used car. It's really nice.I also want to buy a used Chevrolet.I have same opinion with you.